Anti-Vaccination, vaccines and antibiotics are heavy topics in the news these days. They are pretty controversial and divisive topics, and a Canadian family is paying the price in more ways than one for their stance on one of them. Yesterday I read a story about a family in Alberta, Canada, who have been charged with failing to provide the necessities of life. Their son died four years ago—he was only 19 months old. He died from meningitis. 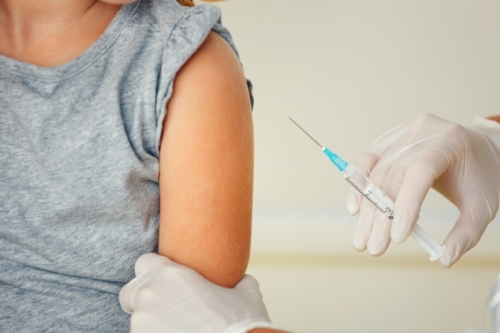 The charges stem from the fact that the parents elected not to have their son vaccinated. Vaccines are often given to newborn children to help build their immune systems and fight off dangerous pathogens like meningitis. They are essentially small amounts of the very pathogens and microbes they protect humans from, albeit in a weakened or dead form. Without them, child mortality would be far higher and there would still be countless lives lost to conditions like polio. In fact, vaccines are largely responsible for the fact the world has not experienced another massive pandemic like the black plague, which killed more than 100 million people in the 14th century. When their child fell ill, the parents decided to treat him with home remedies to boost his immune system. They used things like olive leaf extract, whey protein, water and maple syrup, juice with frozen berries, a mixture of apple cider vinegar, horseradish root, hot pepper, mashed onions, garlic, and ginger, according to Canadian news agencies. After a few weeks, his condition worsened, he stopped breathing, and was rushed to the hospital where he was taken off life support five days later. Now look, I support natural remedies to treat a number of conditions or use as complements to existing treatments, but vaccinations are essential, and sometimes modern medicine is the best, and only, way to treat some conditions. Antibiotics, on the other hand, can become dangerous and counterproductive to your health the more often they’re used. Each antibiotic cycle a person takes essentially carpet-bombs their microbial population, weakening the immune system. The more cycles you do, the weaker you ultimately become. In fact, many leading doctors and specialists who speak out against the overuse of antibiotics actually support a round of early childhood vaccinations—they lay the foundation for a healthy, strong immune system. When you, your child, or your grandchildren get sick, it’s important to have adequate nutrition to fight off the illness. But that might not be enough for children—their bodies simply aren’t developed enough to fight everything off. And if they haven’t been vaccinated, there’s a far better chance that they will lose the fight. If they have been vaccinated, try to avoid the use of antibiotics and use other natural or modern treatments to nurture them back to health. Khandaker, T., “These anti-vaccination parents are on trial for their son’s death,” Vice News web site, March 9, 2016; https://news.vice.com/article/these-anti-vaccination-parents-are-on-trial-for-their-sons-death?utm_source=vicenewsfb. Blaser, M., “Missing Microbes,” HarperCollins Publishers, Toronto, 2014. PP. 64-78.